Covet stacking bands are curvaceous and enchanting. 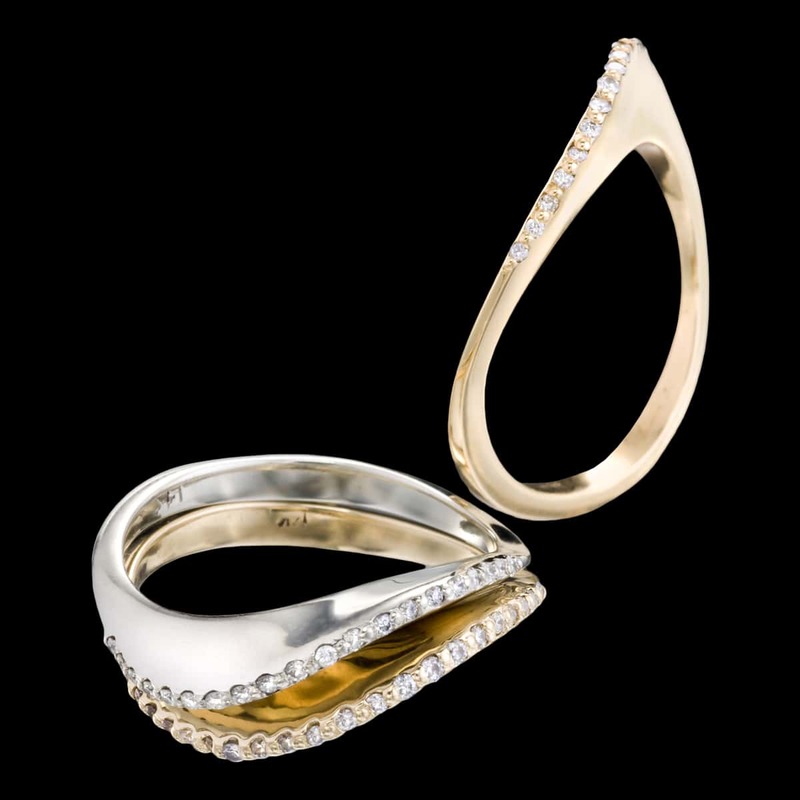 These delicate rings are available in 14kt white or 14kt yellow gold with pavé set VS F diamonds totaling .21 carats. A perfect match with Covet Duo engagement ring. To purchase, call (949) 715-0953 or use our contact form below.